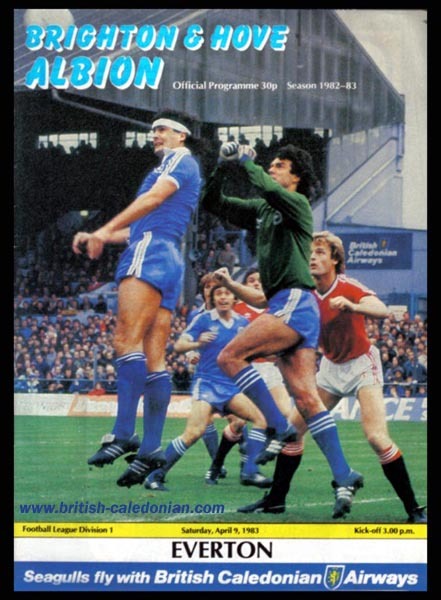 Football had always been popular among the sports teams playing within BCal. 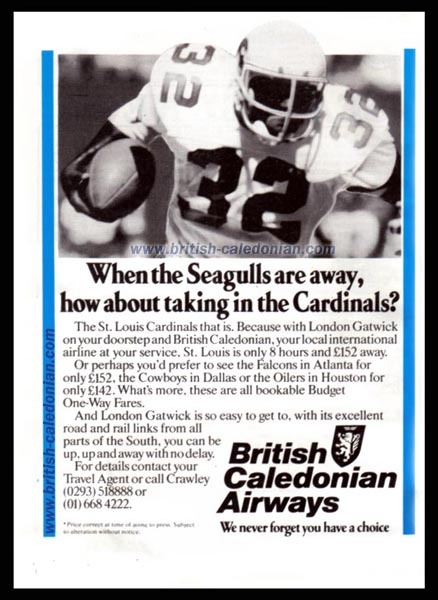 Though from 1980 - 1983 BCal sponsored the local team down in Brighton. 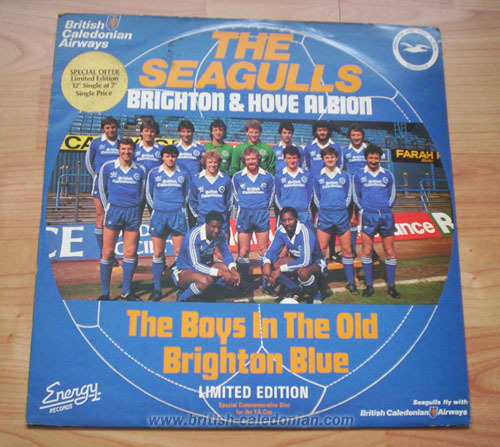 The Seagulls, or Brighton & Hove Ablion, were flying high and were in the top divison of English football then, Division One. 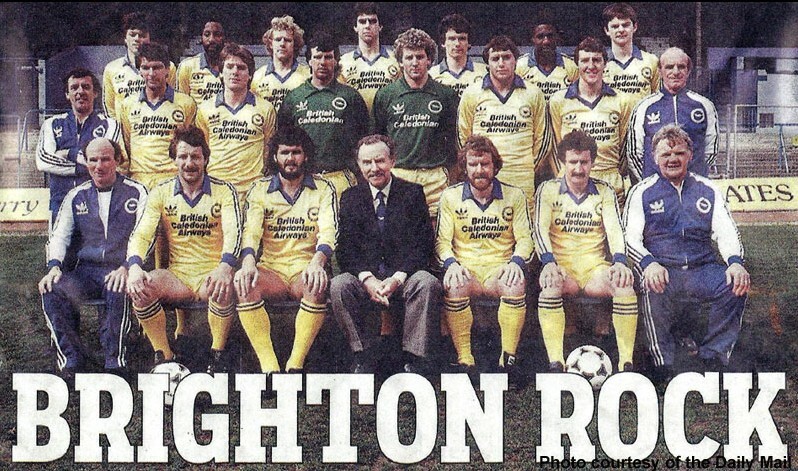 Though playing top flight football, Brighton & Hove Ablion's greatest success in the modern era was when they made the FA Cup final in 1983. 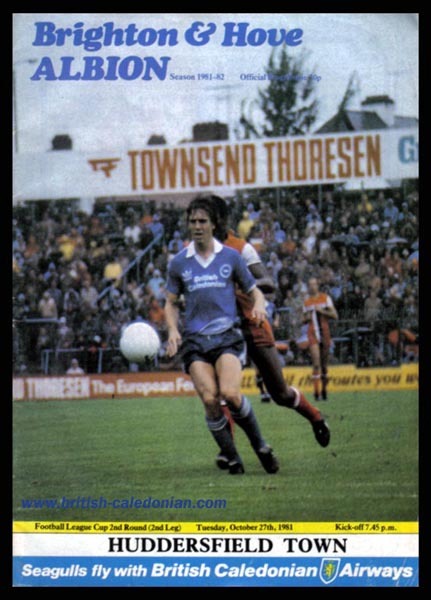 The Seagulls were off to Wembley, and were playing Manchester United in the final on 21st May 1983. 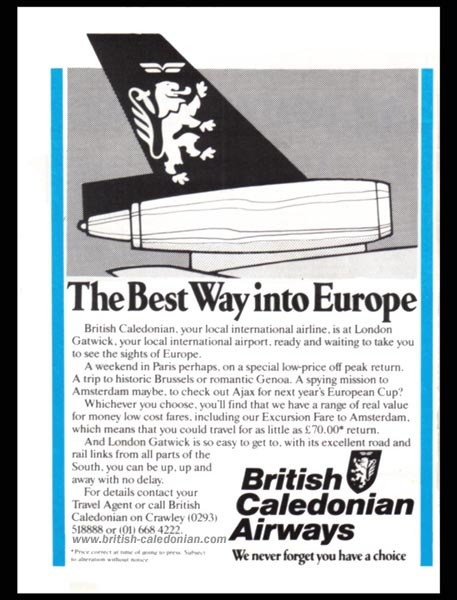 As with all great cup runs there is a need for a record, and this year was no exception. 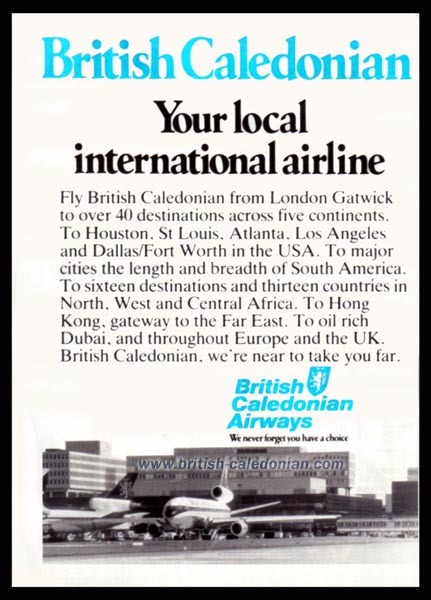 Also an arrival in style was called for, and the team flew in by helicopter, BCal Helicopter's G-BFPF to be exact. 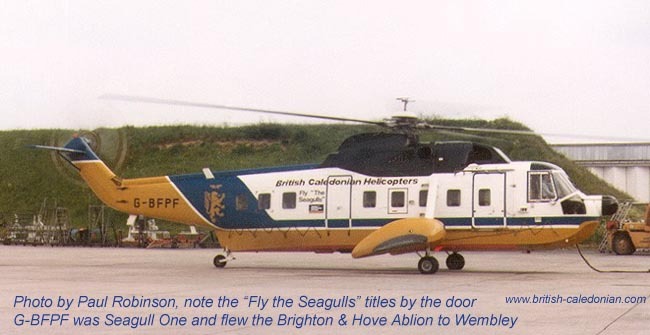 She flew under the call sign Seagull One and collected the team from near their hotel in Croydon before heading to London. 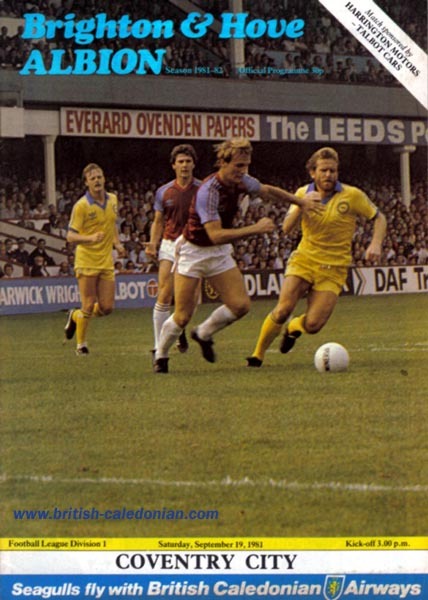 They circled Wembley stadium, which was packed out with 99,059 football fans, several times. Captain David Owen and Captain Paskett in command of the special flight that day. 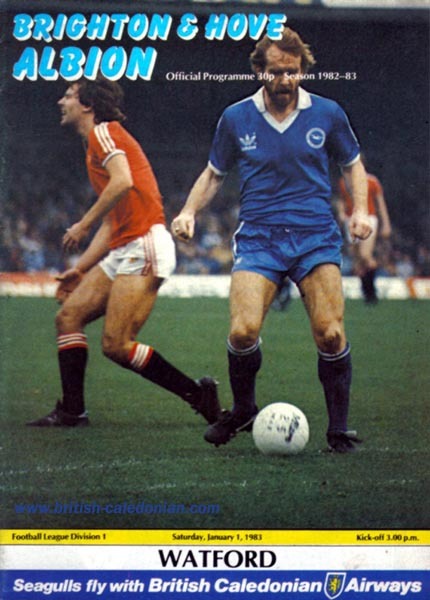 The match itself was a great game, with the final result a 2-2 draw, Gordon Smith and Gary Stevens scoring Brighton's goals. 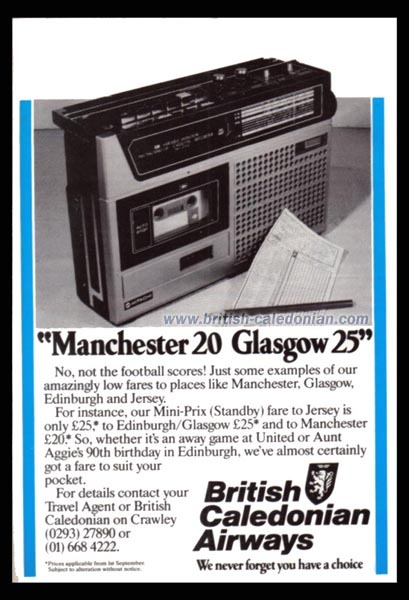 The replay was held 5 days later, but this time Manchester United won 4-0 and lifted the cup. 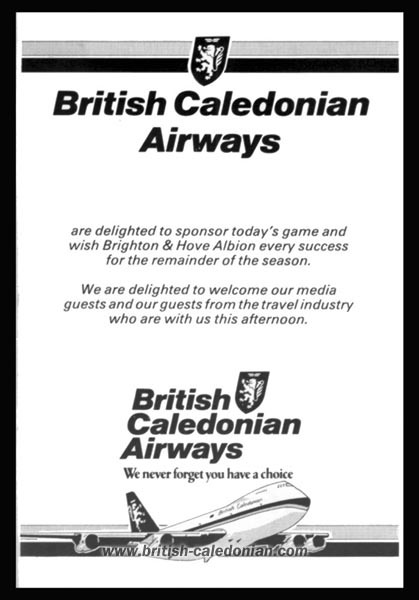 After the main team sponsorship ended, BCal continued to sponsor certain matches through to 1987. 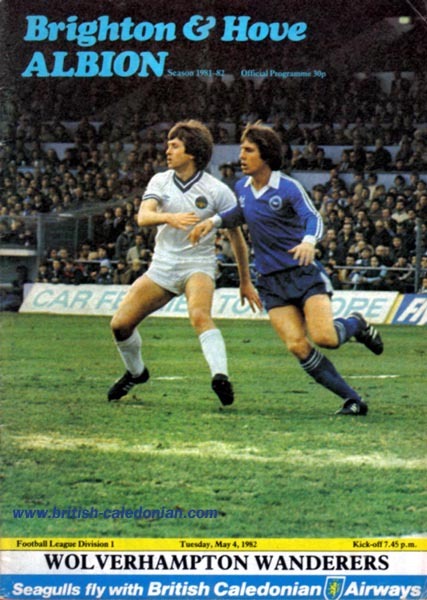 My thanks to Alan Reeves and Paul Robinison for all their help with this page.